Prevent contamination of cooked food from separate raw and cooked foods. Kill pathogens by cooking food for the appropriate length of time and at the appropriate temperature. Storage of food at proper temperatures as per the specific requirements. Every establishment dealing with the handling, processing, manufacturing, packaging, storing, and distribution of food by any food business operator should adhere to the Food Safety and Hygiene Norms. It is the responsibility of the food business operator and the persons handling food in the food establishments to ensure adherence to General hygienic and sanitary practices. This means that every food business operator shall practice steps which are critical to ensuring food safety in the activities of the food business. These procedures ensure better Food Safety and Standards Regulations. Location and neighborhood of the food establishment: The Food and Safety Guidelines given by FSSAI suggest that it should ideally be located such that it is away from environmental pollution and industrial activities that have the potential to contaminate the food through disagreeable odor, fumes, dust, smoke, chemical emissions, pollutants. These contaminants have the potential threat of contaminating food areas prone to infestation of pests or wastes. It is also important to note that the manufacturing premises of food articles must not have any direct access to any residential area as well. Location of establishment also plays an important role in meat and meat products. 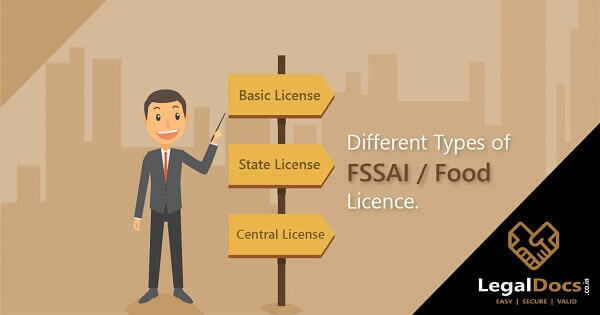 In order to get a FSSAI License to any food business operator dealing in meat and meat products, one must ensure that the establishment of is linked to a meat market and is away from vegetable, fish, and other food products. Layout and design of food establishment: General hygienic and sanitary practices include that the floors, ceilings and the walls of the food establishment must be maintained in a sound condition with no flaking and plaster. Adequate control measures must be taken to prevent insects and rodents from entering the establishment. No person shall be allowed the sale of any article within the premises of the food manufacturing unit which is not effectively separated from the place of urinal, sullage, place of storage of foul matter, or drain. Equipment and Containers: Food hygiene guidelines suggest that all the containers used by any food establishment must be in good order and in clean hygienic conditions. These should be made of corrosion free materials. The main purpose is to protect the food from dust, dirt, flies, and insects. Appropriate cleaning and disinfecting of equipment are necessary in order to hold Food Safety and Hygiene Requirements. Facilities: Water supply facilities must be adequate in order to ensure no risk of contamination of food articles. This means only portable water must be used as an ingredient in cooking and processing. Facilities for washing of raw materials, cleaning of utensils, drainage, and waste disposal, personal facilities and toilets, air quality and ventilation, and lighting are necessary to be developed in order to obtain a Food license for any food business operator. Food operations and controls: Food Hygiene System must ensure that the food establishment is careful about procurement of raw materials. Expiry or use by date must be carefully checked. Temperatures for high-risk food; such as milk products, frozen food, meat, must be maintained to ensure safe storage of raw materials and food articles. Sanitation and maintenance of establishment premises: Proper cleaning and maintenance facilities, pest control systems must be ensured to meet Food Safety and Standards Rules. All food establishments must ensure a Food Hygiene System that carefully draws cleaning and sanitation programme. Specific cleaning frequencies and procedures must be set to ensure food hygiene and sanitation. Also, pest infestations shall be dealt immediately. One must be careful of not adversely affecting the food quality in the treatment of pests. Personal Hygiene: Food Safety and Hygiene Norms must ensure personal cleanliness of the food handlers. It is the responsibility of the food business operators to provide all food handlers with Food Safety and Hygiene Requirements such as: protective clothing, head covering, face mask, gloves, and required footwear. These requirements must also be mandatory for those visiting the food establishments. Also, all food handlers must undergo regular health checkups. Any illness or disease that can be transmitted through food can be dangerous. Carriers of these diseases must not be allowed in the food establishments. While all the Food Hygiene Guidelines have been given by Food Safety and Standards Authority of India, a food business operator must ensure that all food handlers are well aware of their roles and responsibilities in protecting food from any kind of contamination. All food handlers must be equipped with the required knowledge and skills relevant to food manufacturing, processing, packaging, storing, and serving. Food safety and quality must be ensured without any food quality deterioration. 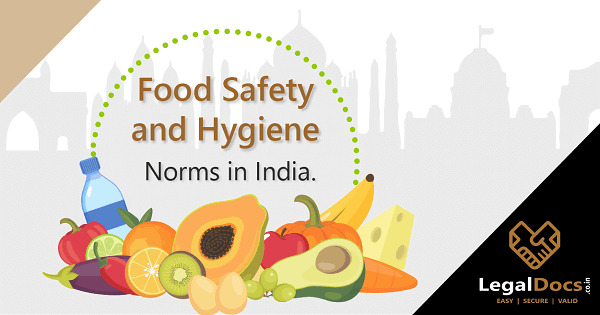 Periodic assessments of the effectiveness of training, awareness of safety requirements, check to ensure Food Safety and Hygiene Requirements are being carried effectively are done by Food Safety and Standards Authority of India. Very useful Information. Do you provide compliance services as well?